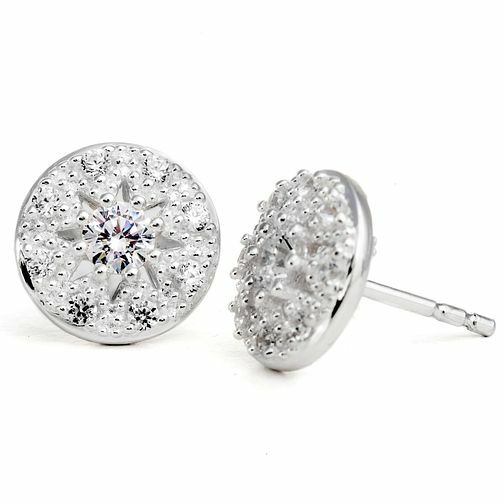 A stylish pair of Chamilia round stud earrings, delicately detailed with an elegant milgrain design and adorned with sparkling crystals. These simple yet elegant earrings will add a touch of glamour to your everyday wear. Chamilia Heirloom Lace Regal Sterling Silver Stud Earrings is rated 3.0 out of 5 by 1. Rated 3 out of 5 by Anonymous from Nice Nice, simple and great gift idea. Quick delivery. The box could be better.